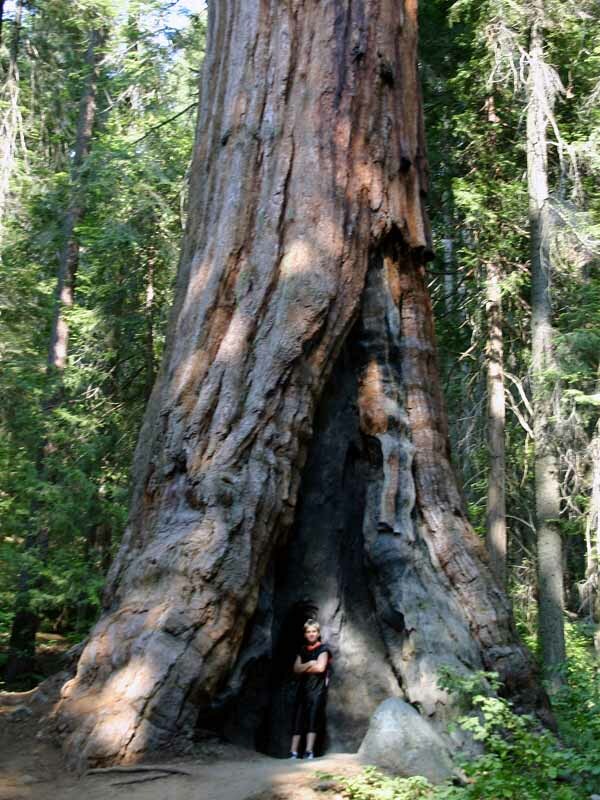 These parks are home to giants: immense mountains, deep canyons, and huge trees. Thanks to their huge elevational range, 1,500' to 14,491', these parks protect stunningly diverse habitats. 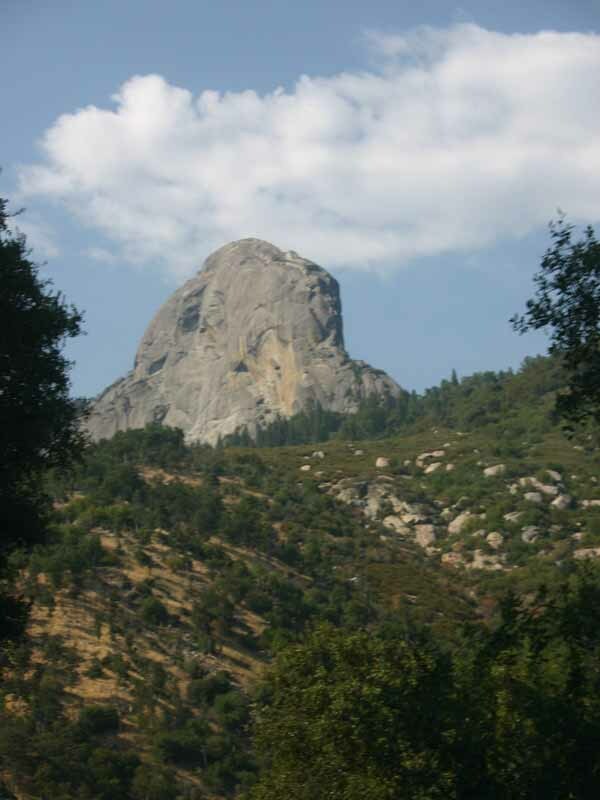 The Generals Highway climbs over 5000 feet from chaparral and oak-studded foothills to the awe-inspiring sequoia groves. 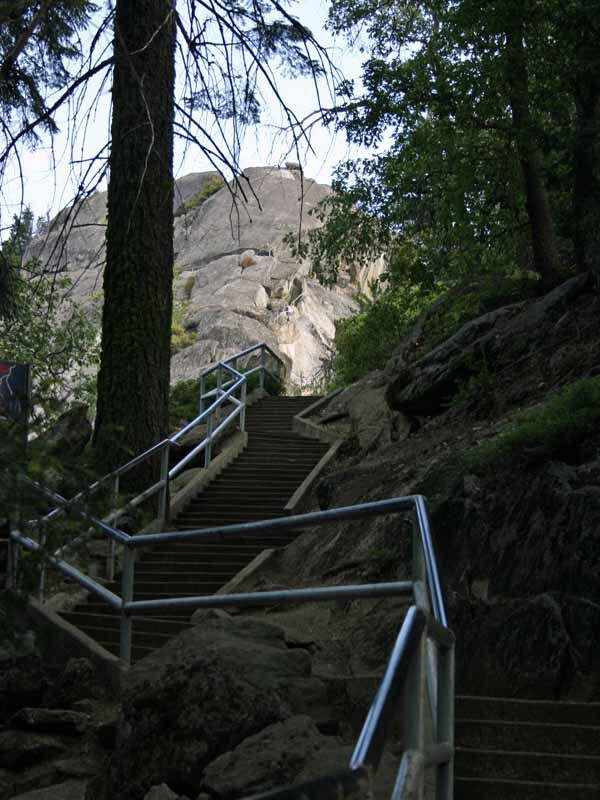 From there, trails lead to the high-alpine wilderness which makes up most of these parks. Beneath the surface lie over 200 fascinating caverns. 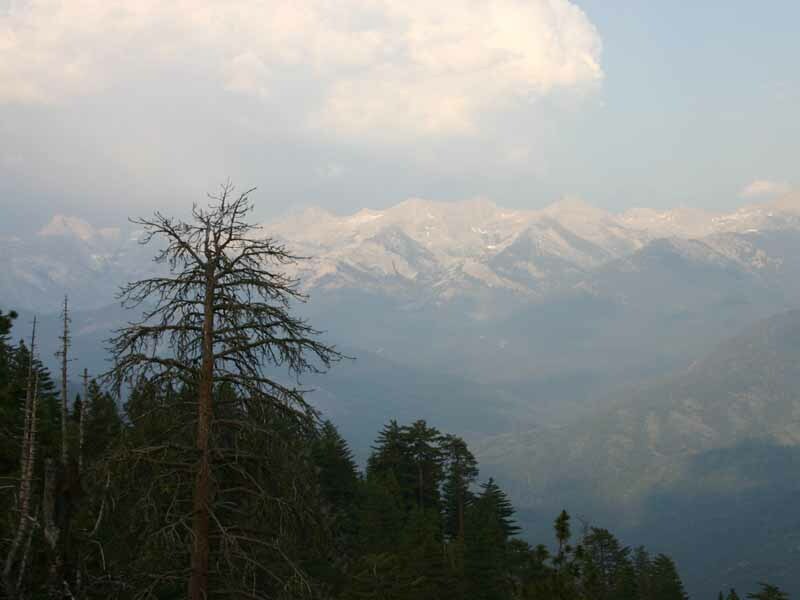 Although Congress created these two parks at different times, Sequoia and Kings Canyon share miles of boundary and are managed as one park. 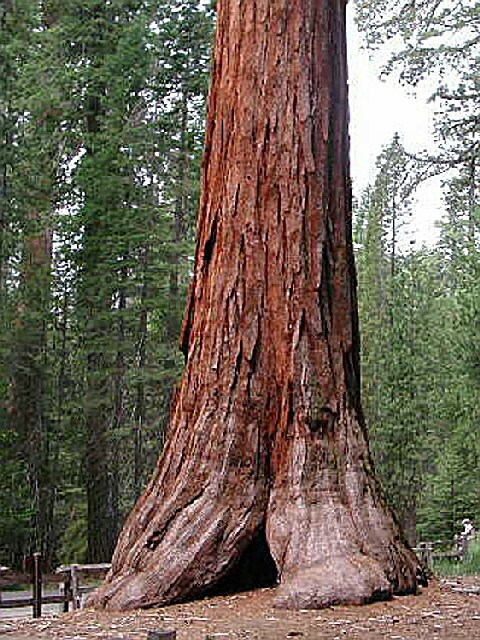 Sequoia was the second national park designated in this country. General Grant National Park, the forerunner of Kings Canyon, was third. As you explore this landscape of giants, do so in step with nature. Be aware that human activity may conflict with natural events. One example: human - bear interactions can result in problems for both players. Store all food properly and learn other ways to keep your parks healthy and wild. And stay safe! Rivers are especially dangerous now. Several people have drowned this year, and there have been frightening rescues. Please be careful, and supervise children near any water. Enjoy a safe visit to these wonderful parks. 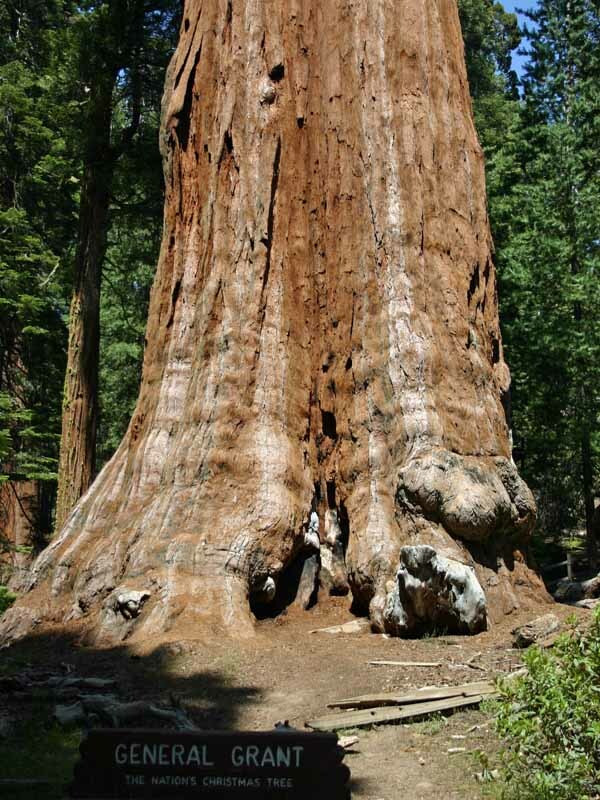 Sequoia and Kings Canyon National Parks contain big trees, high peaks, and deep canyons, but the diversity goes far beyond that. Located in the southern Sierra Nevada range, the parks? elevations extend from 1,300 feet (418m) in the foothills to 14,491 feet (4,417m) at the summit of Mount Whitney, the highest mountain in the contiguous 48 states. Plunging in the opposite direction far below the surface are over 200 marble caverns, many with endemic cave fauna. This huge variation in the landscape contributes to the collage of habitats that create a rich assemblage of terrestrial, aquatic and subterranean ecosystems. Here one can observe a vast diversity of plants and animals representing an array of adaptations. Despite the protected status of resources within park boundaries, many threats to park resources exist. These include air pollutants, invasion by alien species, loss of natural fire regimes, habitat fragmentation, and rapid human-caused climatic change. Understand natural processes (such as fire) and human-induced effects on ecosystems (such as effects of air pollution). Mitigate for the existing and potential human effects on ecosystems (for example, restoring previously developed areas using re-vegetation, re-introducing fire to areas where it has been suppressed for decades). Monitor for ongoing or future trends in key ecosystem components. Protect existing natural species, populations, communities, systems, and processes. Interpret these organisms, systems, and processes to park visitors and to visitor center staffs so they may provide current information to the public. Cedar Grove Lodge (Kings Canyon Park Services) : Open late April to mid-October. Details: Front desk 1-559-565-0100. Rooms in a lodge in Cedar Grove Village, deep in the canyon of Kings Canyon National Park. Counter-service restaurant, market, gift shop in building. Elevation 4600 feet (1402m). Details: Front desk: 1-559-335-5500. Modern rooms in the John Muir Lodge as well as rustic and housekeeping cabins, all in the Grant Grove area of Kings Canyon National Park, 1/2-mile (.8km) to a sequoia grove. Visitor center, market, restaurant, gift shop, & post office nearby. Elevation 6500 feet (1980 m). In winter, you are least likely to encounter road closures enroute to Grant Grove if you enter the park on Highway 180. 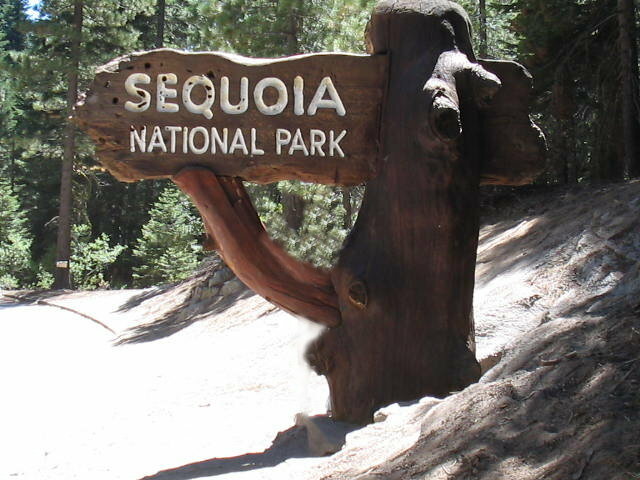 Details: In Sequoia National Park, 4 miles (6.5km) from Giant Forest; 23 miles (37km) from Sequoia Park entrance. Modern hotel rooms in several lodge buildings. Restaurant & gift shop nearby. Elevation 6500 feet (1980m). In winter, you are least likely to encounter road closures enroute to Wuksachi if you enter the park via Highway 198. 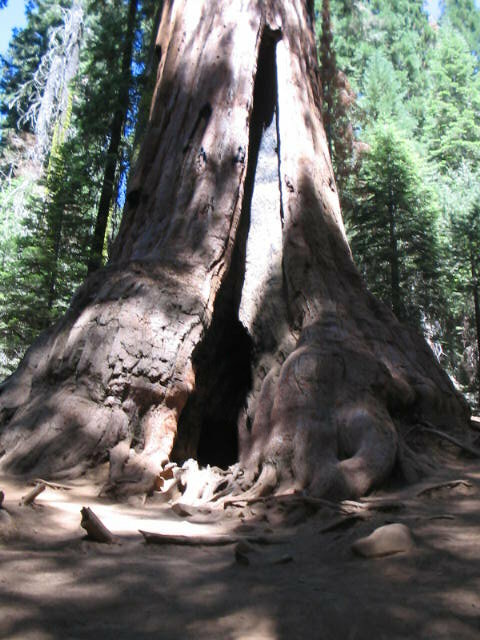 Come explore the underground beauty of Sequoia National Park! Walk by scenic waterfalls on the half-mile trail to Crystal Cave. Beautiful stalactites and curtains, impressively large rooms, and ornate marble polished naturally by a subterranean stream make a tour of Crystal Cave an unforgettable experience. Crystal Cave is located off the Generals Highway in Sequoia National Park, between the Ash Mountain entrance and Giant Forest. To reachthe cave, drive down the scenic, winding, paved road to the cave parking lot. Hike down the half-mile trail along beautiful Cascade Creek, where you will be met by a guide at the cave entrance. The cave is not wheelchair accessible. No buses, trailers, or vehicles over 22 feet long are permitted on Crystal Cave road. Vans are acceptable. Touring the Cave : Anyone wishing to visit Crystal Cave must be part of a guided tour. Tour tickets are not sold at the cave entrance. 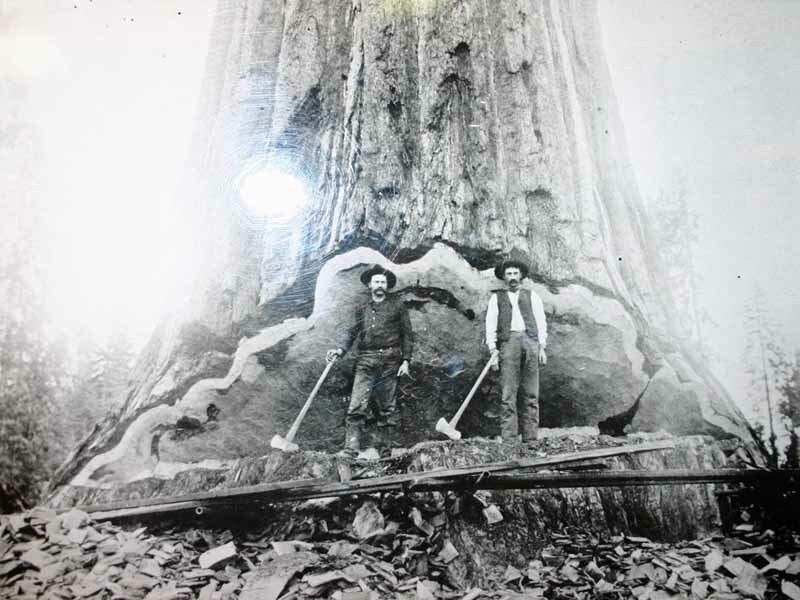 They must be purchased in person at Foothills or Lodgepole visitor centers in Sequoia National Park. After purchasing tickets allow at least 1? hours to arrive at the cave. Regular Tour : Before passing through the Spider Web Gate, your guide will give a brief history of the cave and point out the unique formations and features. During the 45 minute tour, you will be led from room to room on paved lighted pathways, pausing to listen to the water and echoes in the cave in total darkness. Tours are usually limited to 50 persons. Temperature in the cave is a constant 48 degrees F (9 degrees C). Sweaters or jackets are recommended. No strollers, tripods or baby backpacks are allowed in the cave. Discovery Tour : This popular two-hour tour provides a deeper understanding of the geology and wildlife of the cave environment. Limited to 16 persons, ages 13 and up. Cost: $18.95/person, $16.95/SNHA member, and $17.95/Senior. Tours offered daily June 25 through September 2, 2005 at 4:15 p.m.
Wild Cave Tour - Four to six hours crawling and climbing off-trail tour in Crystal Cave. Limited to 6 persons, ages 16 and up. Cost: $109/person. SNHA members get $10 discount. 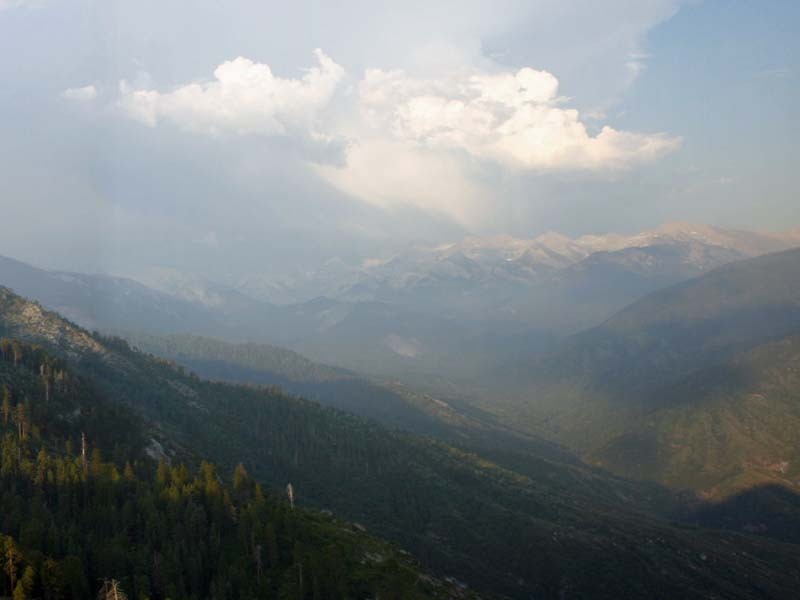 Some 84% of Sequoia and Kings Canyon National Parks was designated as Wilderness under the 1984 California Wilderness Act. Currently, the parks are gathering information and public input in order to develop a Wilderness Management Plan for these areas. 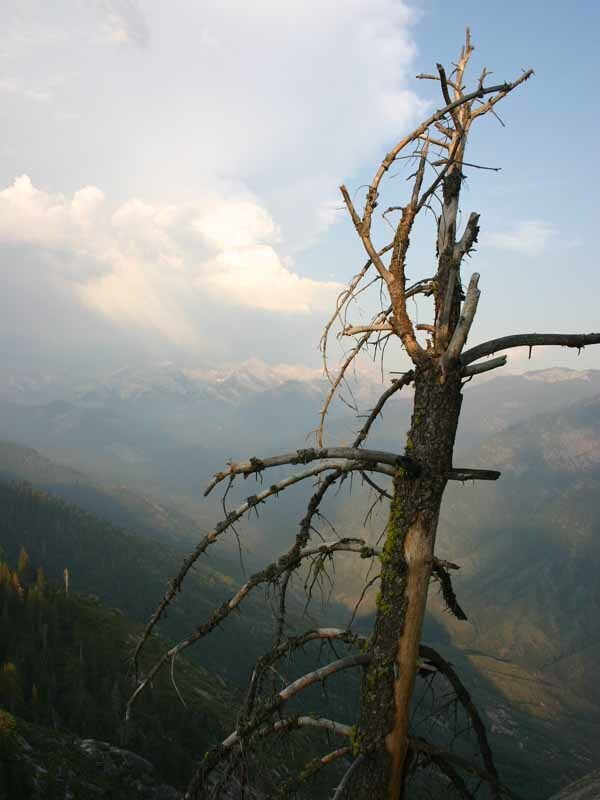 For more details on planning a wilderness trip, see Backcountry Basics. Food storage is required as black bears are at home in these parks. Their natural habitat is the forests and shrublands below 8000' (2438 meters), but they will frequently roam above these elevations in order to steal food from backpackers. Federal regulations require proper food storage and prohibit feeding of any park animal. Violations of these regulations will result in a fine of up to $5000. Even stronger than legal obligations is the moral responsibility to respect the wilderness you have come to enjoy. Careless food storage spells death for bears. When a bear repeatedly obtains human food and garbage, it becomes destructive and dangerous, and may have to be killed. You have entered the bears' territory; learn how to protect your food from bears, and don't let your carelessness destroy them in their own homes. Wilderness permits are required for all overnight camping outside designated campgrounds. There is an overnight camping fee of $15 for permits issued by these parks. Permits are not required for day hikes, except in the Mt Whitney area. All hikers (even day hikers) to Mt. Whitney are required to obtain a permit. Reservations: Quotas limit the number of people entering each trailhead on a single day. In the summer, the quotas on some popular trailheads are filled. To avoid this, you can reserve a permit in advance for trips between mid-May and September. We can accept backcountry reservations for the current year no earlier than March 1 and no later than 3 weeks before the start of your trip. All reservation requests must be faxed or mailed in. We regret that we are not set up to take backcountry reservations electronically at this time. Groups are strongly recommended to use the reservation system. The maximum group size is 15 people per trailhead except for Redwood Canyon where the maximum size is 10. 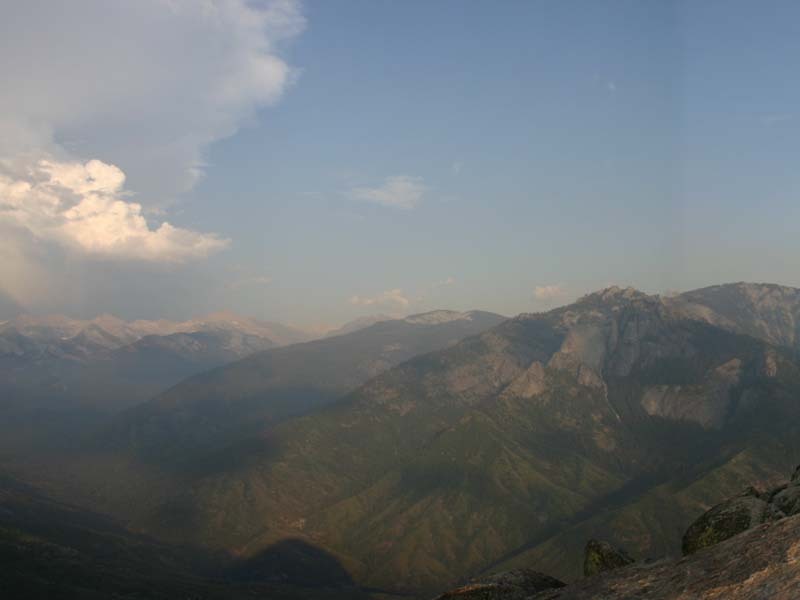 There is one pack station and one stable in Kings Canyon National Park, and one pack station in nearby Sequoia National Forest. All are closed from late fall to spring, but exact dates vary. Each offers specific services; check with them for details and prices. Death Valley National Park, Yosemite National Park, Manzanar National Historic Site, Golden Gate National Recreation Area, Channel Islands National Park, Devils Postpile National Monument, John Muir National Historic Site, and Joshua Tree National Park. 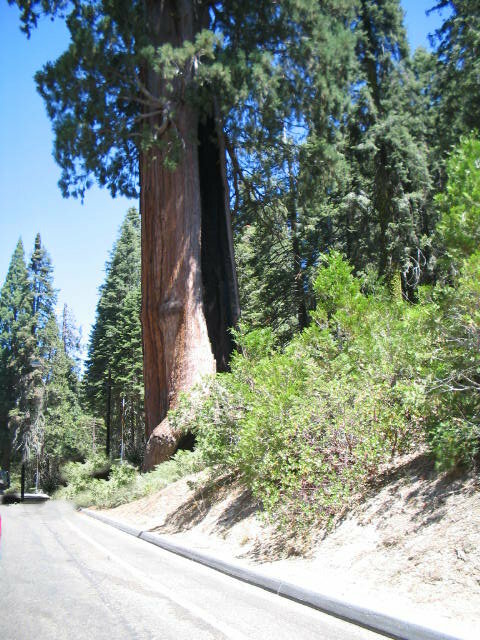 Giant Sequoia National Monument/Sequoia National Forest, (559)338-2251. PlaneThe closest commercial airports are in Fresno & Visalia. Car: NOTE: Gasoline is not sold within park boundaries. 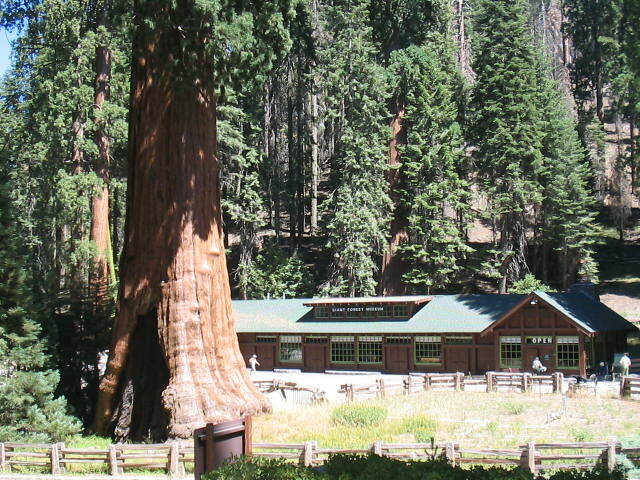 Be sure to fill up in one of the towns near the park entrance OR at one of three locations in the national forest bordering part of the park: year-round at Hume Lake (near Grant Grove), and late spring into fall at Stony Creek (between Giant Forest and Grant Grove) or Kings Canyon Lodge (between Grant Grove and Cedar Grove). 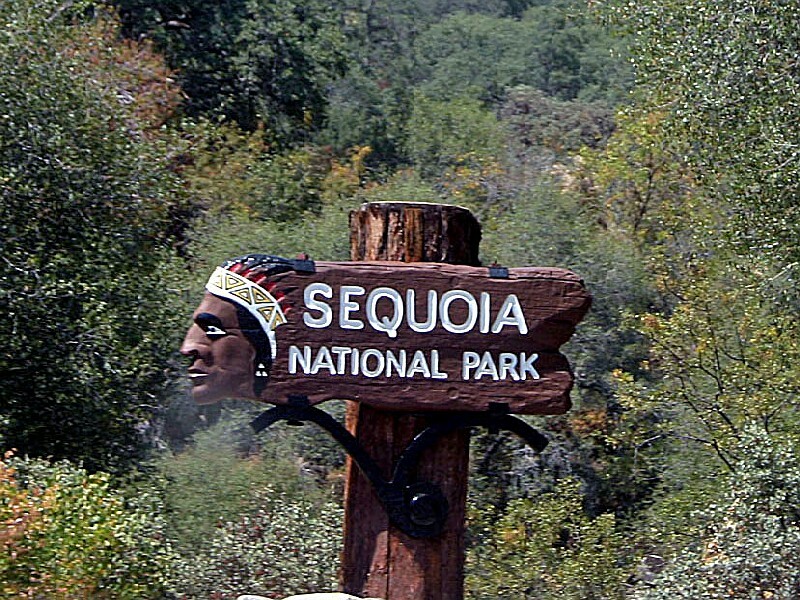 To Sequoia Park entrance: from Highway 99 at Visalia take Highway 198 east for approximately 1 hour. Note: The 16-miles of road from Ash Mountain to Giant Forest includes 130 curves and 12 switchbacks. Due to this, there is a vehicle-length advisory for the 12 steepest miles within that stretch. From Potwisha Campground to the Giant Forest Museum, the advised maximum vehicle length is 22 feet (6.7 m). The alternative: take Highway 180 from Fresno to Grant Grove, then turn south on the Generals Highway. Maximum legal length limits on the Generals Highway are 40 feet (12 m) for single vehicles or 50 feet (15 m) for vehicles plus a towed unit. If you are towing a smaller vehicle, consider camping in the foothills and using the smaller car to explore. 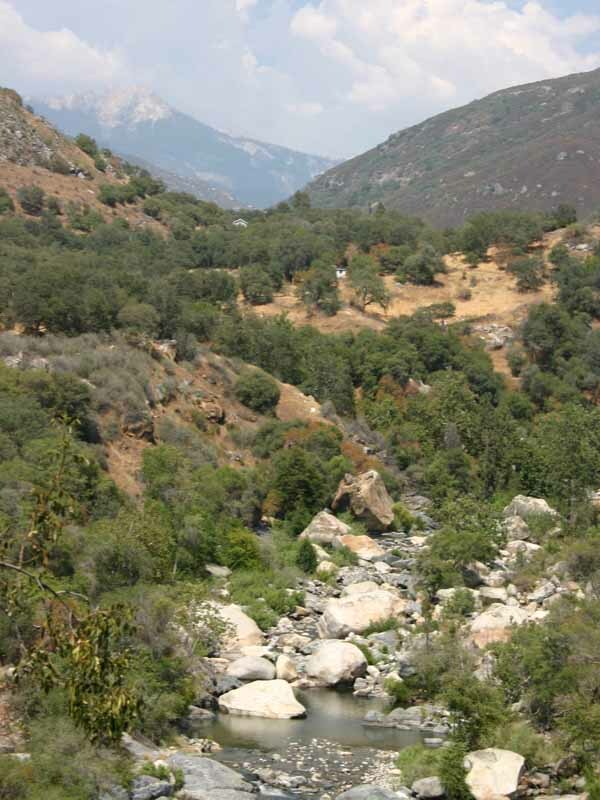 To Kings Canyon Park entrance: from Highway 99 at Fresno take Highway 180 east approximately 1-1/4 hours. PET OWNERS: Keep in mind that dogs are not permitted on park trails and it may be too hot to leave them in the car. Bus: In Sequoia Park, the 16-miles of the Generals Highway from Ash Mountain to Giant Forest contains 130 curves and 12 switchbacks. There is a vehicle-length advisory for the 12 steepest miles within that stretch. From Potwisha Campground to the Giant Forest Museum, the advised maximum vehicle length is 22 feet (6.7 m). The alternative: take Highway 180 from Fresno to Grant Grove and turn south on the Generals Highway as far as the Giant Forest. Maximum legal length limits on the Generals Highway are 40 feet (12 m) for single vehicles or 50 feet (15 m) for vehicles plus a towed unit. Public Transportation : There is no public transportation to these parks.